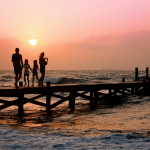 Traveling, whether solo or with family, brings with it memories and wonderful life experiences but it also brings some challenges. This holiday season, consider giving a gift to help your favorite wanderer go on his or her next adventure with ease. 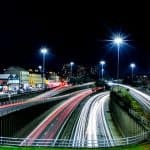 Things that are normally a cinch at home can be a little more difficult on the road, so we have put together some amazing products as an answer to those difficulties. 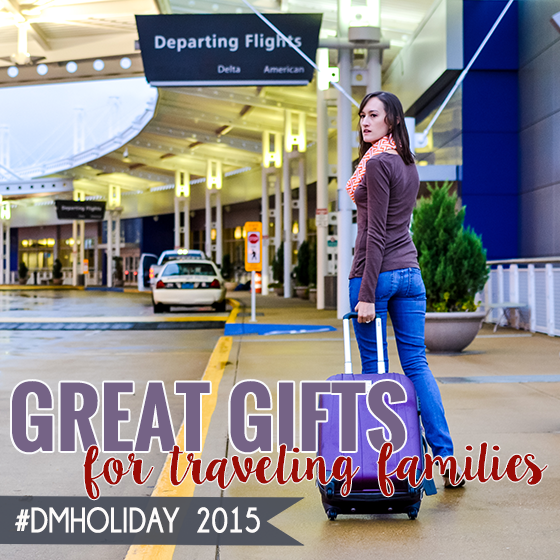 Encourage your loved one to go out and explore the world with a great gift! Diono is the leading expert in high-quality, safe and innovative products for your family’s car travel adventures. Since its debut with the Mighty-Tite car seat prototype in 1999, Diono has been consistently transforming the industry for the better, establishing the company’s commitment to car seat safety on a global scale and making car travel safer for thousands of families worldwide. 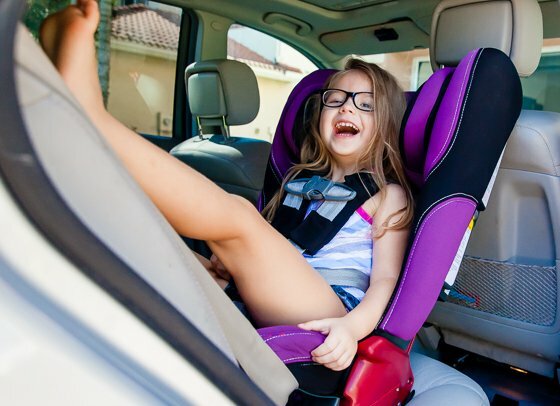 With their wide range of juvenile products, from car seats and convertible boosters to storage solutions and travel accessories, Diono is committed to helping parents solve any car travel hassle they may face. Diono’s Rainier Convertible plus Booster Car Seat is the best investment you can make for your little one’s safety on the road. 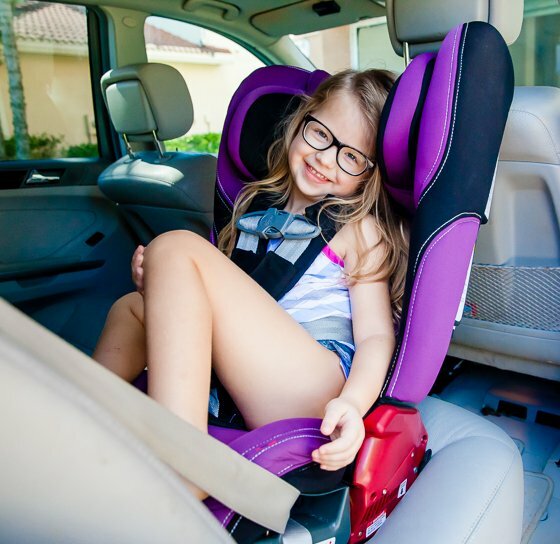 With a full steel frame and aluminum reinforced sides and headrest, Diono takes children’s car seats to another level, making sure that your child is protected and safe at all times. The extra-deep sidewalls provide enhanced side-impact protection and the SuperLATCH system ensures a no-hassle installation, so you’re good to head out on your road-trip in no time. Thanks to the extended rear-facing capabilities that come with the Rainier Convertible plus Booster Car Seat, your child will enjoy safety and superior comfort that’s made to last. Diono’s Rainier Convertible plus Booster is the perfect car seat for your child’s safety on the road. 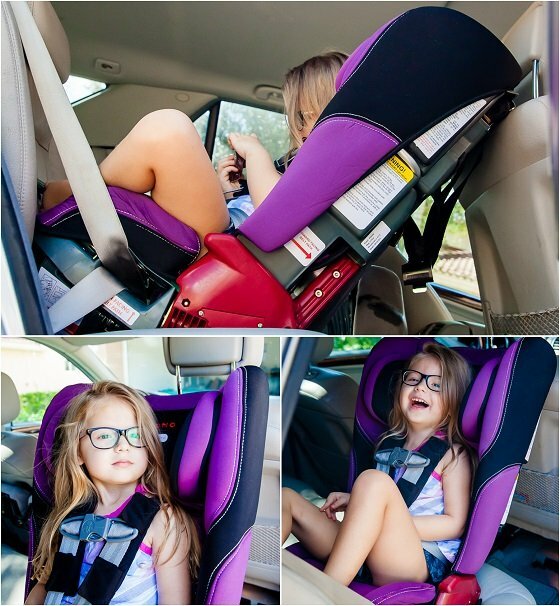 Easy to install, clean and adjust, and with great comfort and style as additional perks, you can be certain that this will be the only car seat you will need for your road trips this season, or any other time for that matter. Inglesina is an incredible Italian company with the mission of creating premium baby products like car seats, strollers and high chairs. Everyone at Inglesina understands that parents want life with their young families to be safe and as relaxing as possible so they design products that you can use with ease and without worry. Inglesina products are stylish and elegant like you would expect from a high end Italian designer. This company began in 1963 and continues to be an innovator in everything they make. The Net Stroller by Inglesina gives you all the convenience of an umbrella stroller with all the features of a full size stroller. This lightweight stroller is so well designed that it is the only stroller needed once baby is ready to ride upright and not in an infant seat anymore. In fact, Inglesina recommends the Net starting at age 3 months and your child can continue to cruise around in this bad boy until 55 pounds. Say goodbye to sweaty, miserable kiddos during warm weather because the base of this stroller is made out of breathable mesh. The seat pad is comfy and removable for easy cleaning. 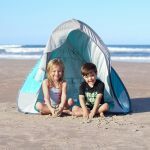 The removable canopy will also keep your baby safe from the sun because it is rated UPF 50+. 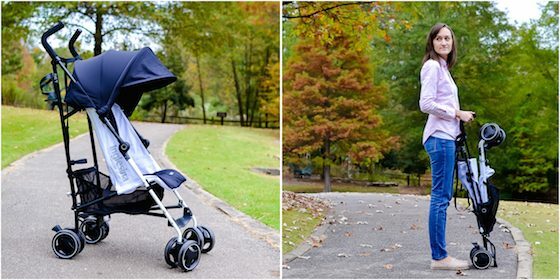 Unlike cheapo umbrella strollers, this well designed lightweight stroller never has to lay on the dirty ground. When it is closed up, it stands upright and comes fitted with a shoulder strap making it easy to carry, and perfect when traveling. The Net Stroller by Inglesina makes a perfect gift for parents with a baby on the way or with young kids. Have you seen your brother struggling with a gigantic heavy stroller for his toddler? Does your best friend struggle with a crappy umbrella stroller every time you meet up for a playdate? Stop the madness and give them a gift they will use all the time and love. We can pretty much guarantee whoever you gift this stroller to will think of you fondly every time they use it. You can never go wrong with a gift that makes life with young kids easier! When Lisbeth Lehan started LÍLLÉbaby, not only did she start as a mom with a product; she started with a team of moms and dads, designers, a chiropractor, a rock climber, pediatricians, fashion consultants, safety experts and hours and hours of “day-in-a-life” studies of parents with a goal to make baby products that would reduce hassle, simplify life with a baby, and thereby truly improve parent’s quality of life. LÍLLÉbaby wishes that all parents can attain the simple luxury of keeping their baby close while building a natural bond, in perfect comfort and functional style. The LÍLLÉbaby COMPLETE baby carriers combine more carrying positions, last longer and include more features than any other baby carrier on the market. 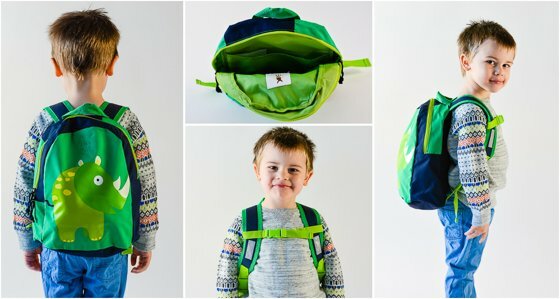 Cool and supremely capable, the Airflow with pockets is as versatile as it is ventilated and ideal for parents on the go, especially if you already have a toddler in tow. Providing parents with six ergonomic carrying positions with the convenience of “360 degree” baby wearing, this lightweight baby carrier is designed for all ages and stages. It’s also perfect to be worn by parents of all sizes. Breathable 3D mesh for maximum air circulation brings a breath of fresh air for you and baby. 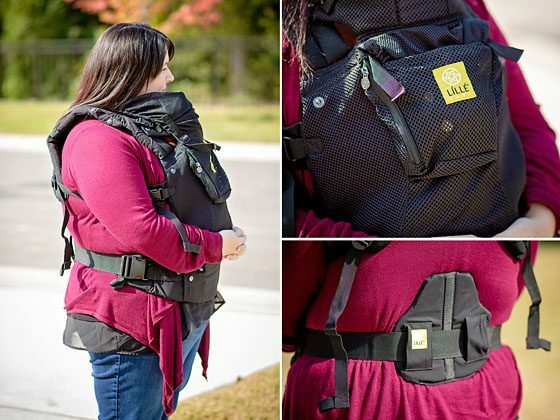 6 Ergonomic Carrying Positions (without the need for an infant insert): Front-fetal, Front-infant, Front-outward, Front-toddler, Hip and Back carry. The patented cupped seat adjusts to keep baby ergonomically seated in all six carry positions through every development stage. Lumbar Support to increase your comfort, maintain healthy posture and alignment, and prevent lower back strain. Combined with an extra sturdy waist belt to maximize parent’s comfort. Removable Sun-Shielding Sleeping Hood features dual adjustment points to provide tailored support for baby’s head while sleeping, sun protection while exploring, and privacy while nursing. 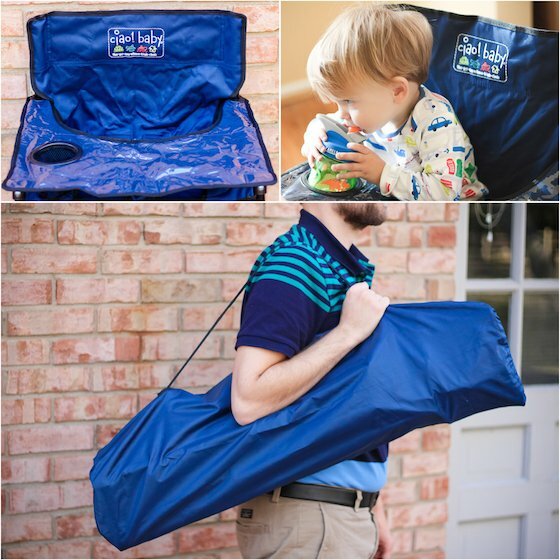 If you’re looking for a carrier that will take you from the newborn stage to the toddler stage, then the LÍLLÉbaby COMPLETE Airflow carrier is really the only carrier you’ll ever need. Complete in comfort, functionality, safety and style, it’s the perfect gift for new parents this Christmas. Inspired by the Selk’nam (a historically acclaimed group of hunters and gatherers from Chile who were known for their strength and toughness in the most extreme conditions), Rodrigo Alonso created the Selk’bag sleepwear system in 2006. He originally worked with a 30-year-old technical mountain gear company in Chile and then went on to debut the Selk’bag system at the ISPO sporting goods show in Germany in 2007, where he became a Brand New Award Finalist, officially introducing his sleepwear system to the European market. Just one year later, the Selk’bag sleepwear system became a hit in the US. In 2009, Selk’bag 3G made its debut with a new children’s line and adult’s down line as well as the launch of Musuc Outdoors. 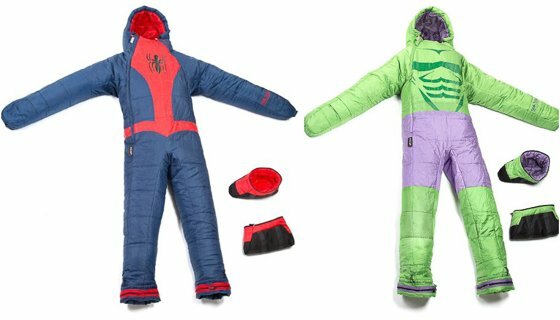 Finally, in 2013, Selk’bag USA launched, introducing the Patagon and Marvel’s “I AM” lines. 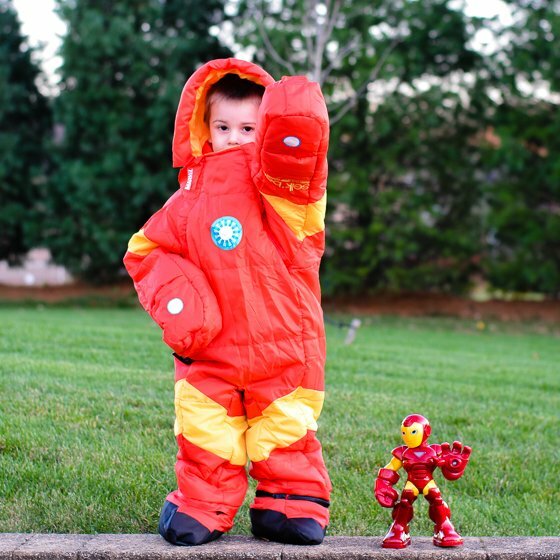 Part of the newest line to the Selk’bag family, Marvel Kids Selk’bag sleepwear systems lets your little ones live out their dreams of becoming one of four beloved Marvel’s superheroes – The Hulk, Iron Man, Captain American or Spider-Man. The Marvel Kids line has all of the same great features of the original kids’ line, including removable booties, 45 degree temperature rating, duel front-entry zipper, water resistant shell and more. Your little ones will love taking this wearable sleeping bag camping, to sleepovers, to outdoor movies or simply to wear around the house. 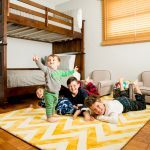 Each Marvel Kids system is insulated, adjustable and ultra comfortable for sleep and play alike. The Selk’bag sleepwear systems are innovative, award-winning and downright tons of fun. 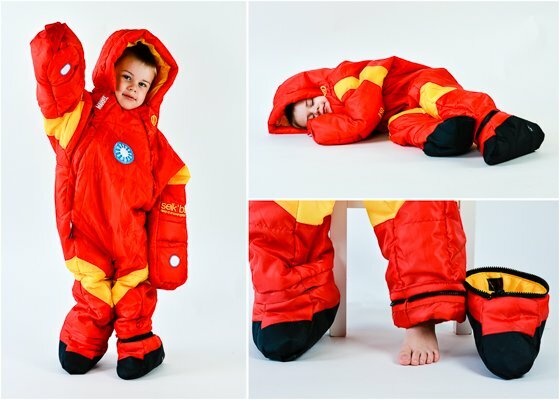 Marvel Kids by Selk’bag is the perfect line of sleep systems for your little ones. Kids of all ages will love the convenience of a wearable sleep system that is not only highly functional, but designed in the reflection of beloved Marvel characters. 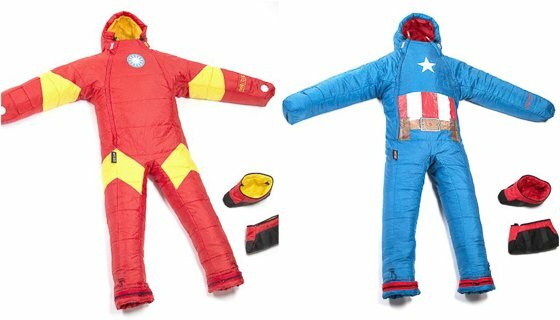 For the adult Marvel fan in your life, Selk’bag also carries an adult Marvel line to match the kids! Take it literally: Our name is our creed. The German word “lässig” means “casual” and this attitude characterizes our teamwork, our products as well as our social responsibility. Live Lässig – the Lässig philosophy, from their employees to their products is that of living with spirit and style. 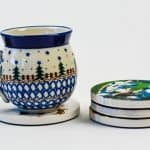 Lässig’s goal is to design beautiful and functional products and to manufacture them sustainably using nontoxic and environmentally-friendly components. 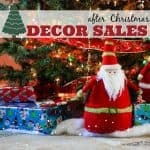 They design and create beautiful, stylish products that are comfortable, practical and non-toxic. Lässig’s mini backpacks make the perfect addition to any little traveler’s gear. They’re not large, oversized backpacks. At 9.2 x 5.1 x 11.8 inches, they are just the right size for little ones to store all of their travel necessities. With a roomy, zippered main compartment and internal pocket, these mini backpacks provide kids with the perfect amount of space and security. They have a chest clip and padded, adjustable shoulder straps for security and comfort; and staying true to Lässig’s mission, these packs are made free of PVC, AZO, phthalates, nickel and cadmium. Lässig’s mini backpacks are perfect for the tiniest of travelers. 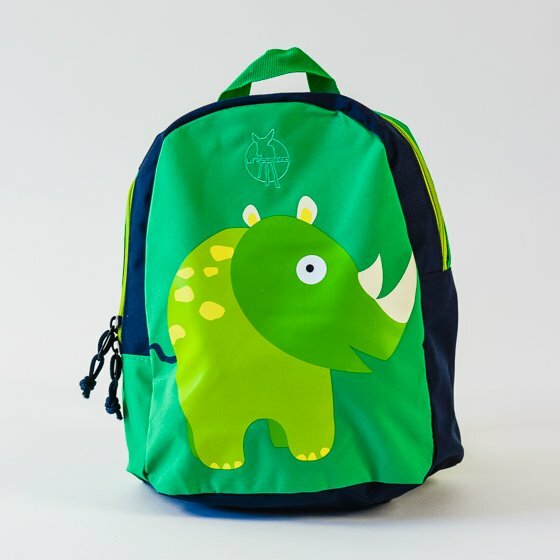 A smaller version of bulkier, oversized backpacks, these mini backpacks will make any little one feel special on family trips, sleepovers at Grandma’s and day trips to the zoo! The folks at ciao! baby understand that families with small children need a solution to make life easier during mealtimes. Their mission is to offer products for on-the-go families who’d like to enjoy a meal outside the comforts of their own home. After five years of intense planning, product research, and testing, they came up with their signature (and award-winning!) Portable High Chair — a product designed to make life simpler for families with small kids — at least at mealtimes! The ciao! baby Portable High Chair is every parent’s dream: a lightweight, easy-to-use, easy-to-clean high chair they can literally take anywhere. 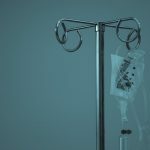 No more placing your baby in a sticky restaurant high chair, sitting your tot on your lap at your older child’s soccer game, or vacationing without a proper place to feed your infant. At a mere eight pounds, this “go-anywhere” chair is lightweight and easily fold-able, something every parent should keep in the back of their minivan (or sedan, as this chair takes up virtually no trunk space). Requires no assembly — a huge bonus with baby gear! The Portable High Chair by ciao! baby is the perfect gift for any parent of a small child — not just for big travelers. 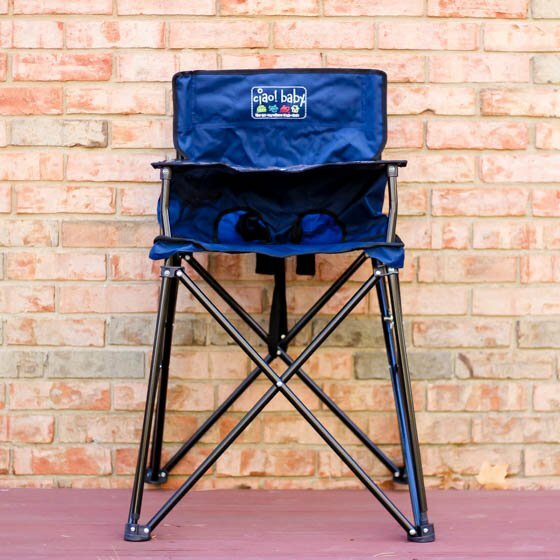 As its name suggests, you can truly take this chair anywhere, so it’s great for anything from a day at a local park to a flight across the country! Weighing a mere 8 pounds, this chair takes up virtually no storage space, fits into any-sized trunk and comes in a handled bag for ease of use when traveling. Since this chair accommodates kids up to 3 (or 35 pounds), parents will get a lot of use out of the Portable High Chair! The Pacific Northwest is an area known for its cloudy, wet weather, so it’s no surprise that the ShedRain company began in Portland, Oregon. As a third-generation family-owned business, ShedRain is proud to have earned a reputation for quality, integrity, service and innovation during its 68 years of business which now reaches worldwide. ShedRain has so much confidence in their products, they back them with a LIFETIME WARRANTY. The WindPro® Auto Open and Close Jumbo Compact Umbrella is perfect for people on the move. Featuring a 54-inch canopy arc, the umbrella not only automatically opens, but also automatically closes with the touch of a button. When not in use, the WindPro® Auto Open and Close Jumbo Compact Umbrella is only 15-inches long and fits neatly into the provided carry case, which features a “snap on” swivel hook to easily attach to any bag. The slim profile of the closed umbrella also fits into most water bottle pockets. 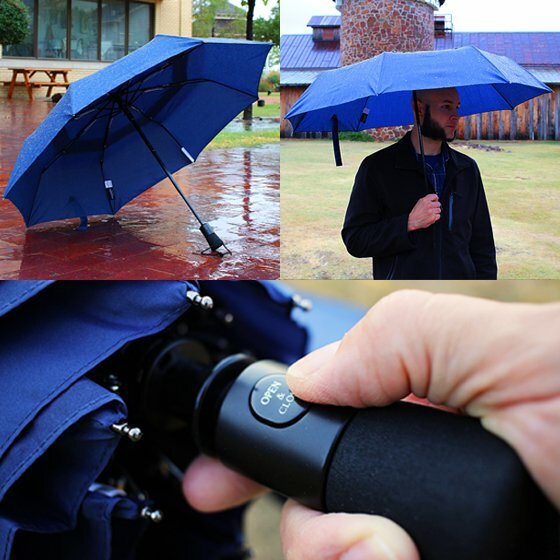 Another shining point for the WindPro® Auto Open and Close Jumbo Compact Umbrella is its construction. The fabric is treated with DuPont Teflon® fabric protector to repel water and dry quickly. The aerodynamically vented canopy and heavy-duty infrastructure have been scientifically tested at the University of Washington Aeronautical Laboratory to resist inversion on those rainy, windy days. Combine that with the LIFETIME WARRANTY and this will be an umbrella that will serve you and your family well for many years. This umbrella is a must have for anyone living in a severe weather area, or who frequents areas with extra windy and stormy days. 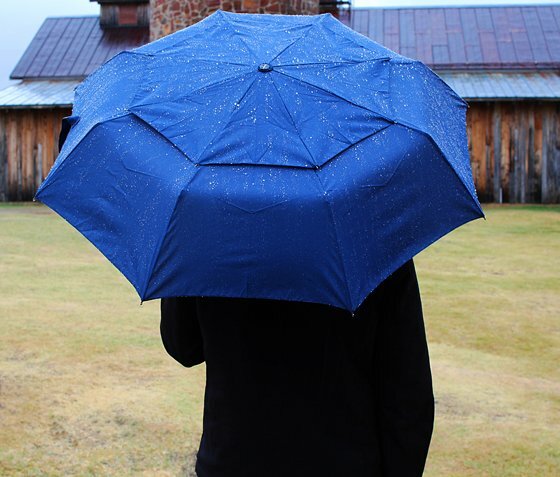 And whether you are on the go for travel, work, or around-town errands, this workhorse of an umbrella will fit perfectly into your busy life and full hands. 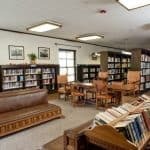 We’ve all been there – stuck on a long commute, in the waiting room at the doctor’s office, in the middle of the school concert -and all of a sudden, your cell phone’s “low battery” signal begins to flash. 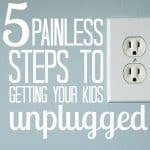 Your lifeline saving you from boredom in the waiting room, your recording of your little one’s solo – all in jeopardy because your battery is about to die! 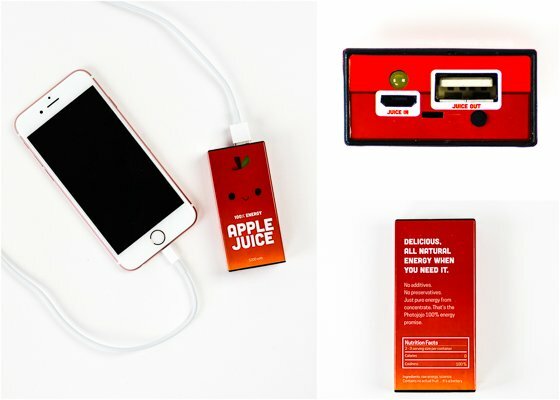 Photojojo’s 100% Energy Apple Juice Power Pack will save you from the dreaded death of the smartphone battery. This backup battery pack works with any phone and any charging cable, fits into your back pocket and can give your smartphone 2-3 full charges before it needs a charge itself! You’ll never want to leave home without it! 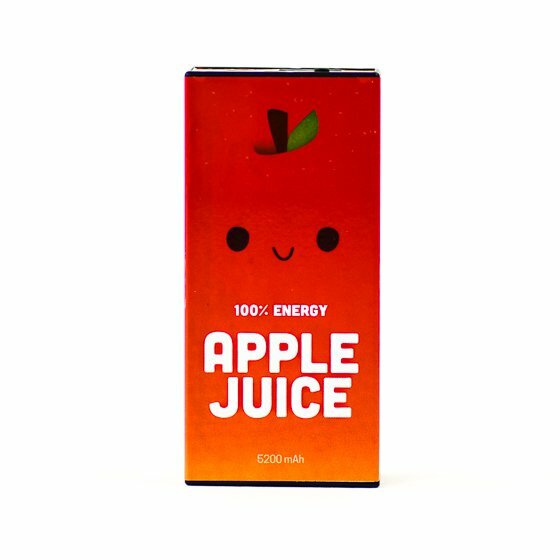 Photojojo’s 100% Energy Apple Juice Power Pack is the ideal gift for the smartphone junkie in your life. It’s perfect for travel, everyday use and kids who like to drain their mom’s smartphone batteries in the grocery store. 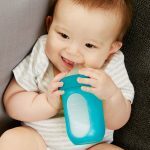 Tottigo’s mission is to provide unique, eco-friendly, ready to use products for babies, toddlers, and children that simplify the hustle of daily life and create more quality time for families on-the-go. 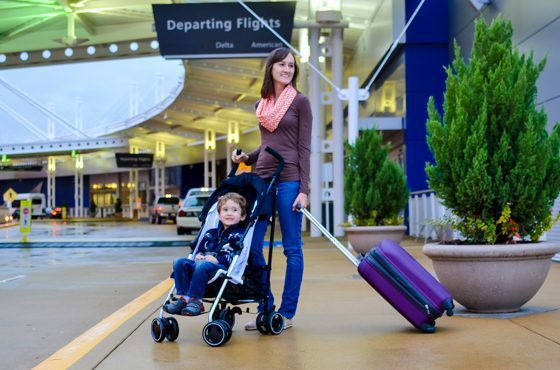 Tottigo, LLC is an innovator in the design and manufacture of ingenious travel products for babies, toddlers, and children. Their products enable caregivers to be prepared for life on-the-go with small children. If you’re out and about with your small child who is in the process of potty learning, or who is newly toilet trained, you know the struggle of getting that child to feel comfortable enough to relieve themselves while in a public restroom; not to mention all the icky germs that their little hands risk touching during that experience. 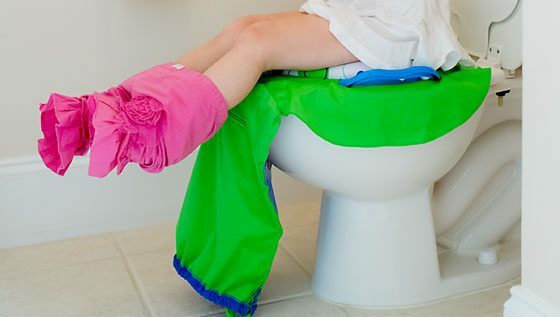 Enter the Pack N’ Potty, the Antimicrobial/Waterproof attached sanitary toilet seat cover. 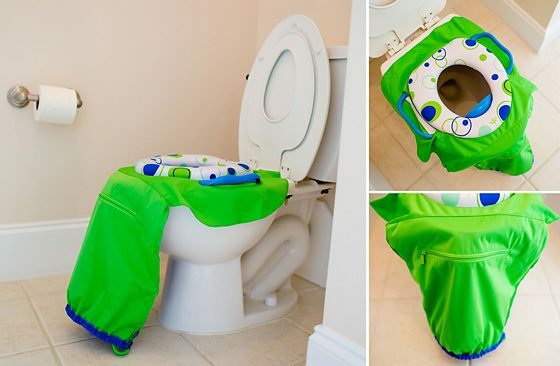 The Pack N’ Potty is a stable and attached toilet seat cover that is soft and comfy for sensitive bums, and easily converts into a handy and portable tote, perfect to stash in your stroller basket or trunk of the car. 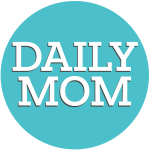 We adore themed gifts at Daily Mom, and the addition of the Pack N’ Potty into a “toilet learning adventures kit” also paired with a potty book and cute training underpants is the perfect gift for the toddler in your life, or the adventurous child who loves traveling, but sometimes also prefers some “comforts” from home while on-the-go. Little Passports started in 2009 when two moms (and best friends) had a shared vision: to inspire children to learn about the world. Growing up, Amy Norman and Stella Ma were both exposed to different cultures. Those personal experiences taught them how important it is for children to learn about geography and the world around us. Since having children, they believe it’s even more important to provide those opportunities to learn while inspiring children’s imaginations. Little Passports subscribers receive adorable destination-specific, age-appropriate packages in the mail each month filled with letters, souvenirs, activities, and more. Each kit allows kids ages 3-12 to explore geography, history, culture, and language in fun, engaging, and memorable ways. The Early Explorers kit is specifically designed for preschoolers (aged 3-5) and allows children to explore world themes with Max, Ruby and their dog Toby. 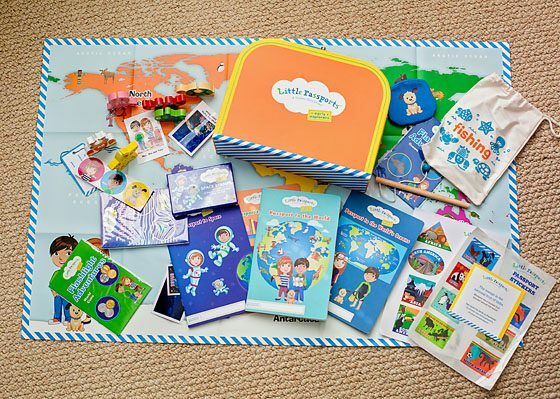 The first kit would make an incredible Christmas gift for your child and includes everything you need to get started, including a fun orange suitcase, a wall-sized world map, 20-page activity booklet, luggage tag, stickers and a wall decal. Depending on your subscription, your child will receive ongoing monthly world theme kits that include mini adventures for your child’s growing imagination. Choose an Adventure: Select the adventure and subscription plan that’s right for your child. Little Passports offers fun and engaging products for children ages 3-12, as well as several different payment plans and gift options. Check Your Mailbox: The introductory kit will arrive with everything your child needs to get started. 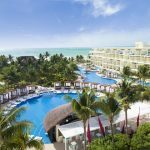 Destination-specific packages then arrive every month filled with letters, souvenirs, activities and more. Discover and Learn: Watch your child race to the mailbox each month to check for their latest adventure! These fun and engaging packages will inspire a life-long love of learning. Early Explorers is such a neat way for your preschooler to learn about the world in a creative way, and we love that it’s not a super materialistic type of gift. 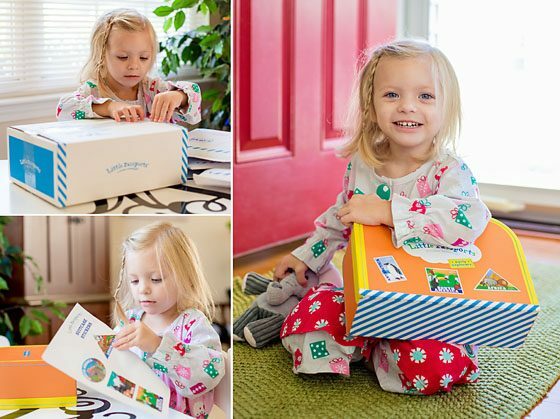 Not only will your child love receiving their first starter kit and suitcase this Christmas, but they’ll love checking the mail each month for new adventures. 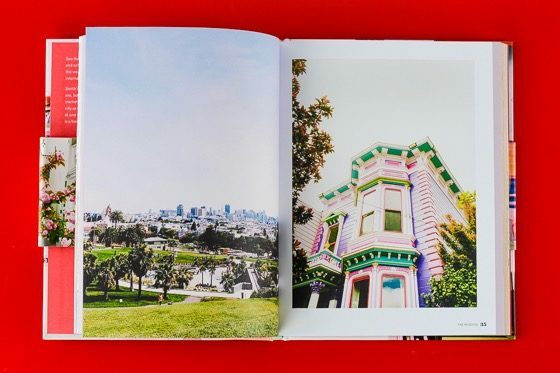 The beauty, eclectic culture, richness and all that San Francisco entails is captured artistically in photographer, Victoria Smith’s tribute to her favorite city, See San Francisco. Smith remembers her summer road trips with her parents in the 60s when she was just a little girl. They would wake at the crack of dawn and travel from Los Angeles to San Francisco, where she was captivated at her very first glance of the Golden Gate Bridge. In 1994, Smith journeyed from her home in LA to a new adventure in San Francisco. She knew no one there, but never felt more at home. She began writing her now super popular interior design and lifestyle blog, SF Girl by Bay, where she chronicles her life in San Francisco in writing and photographs. You won’t find popular landmarks in See San Francisco. Smith takes you on a true insider’s tour of this beautiful city, expressively writing about each place she photographs. 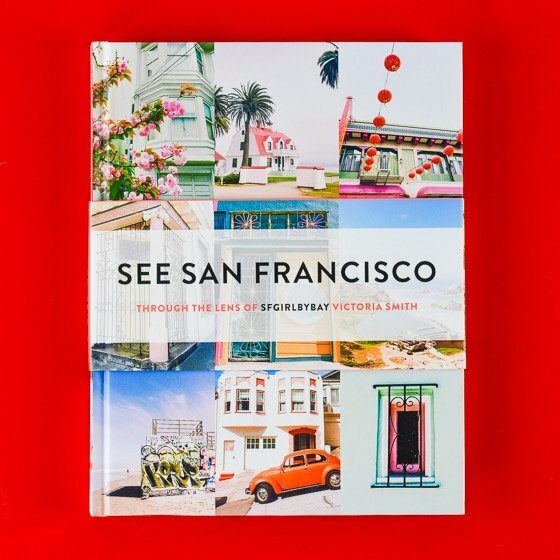 See San Francisco – Through The Lens of SFGirlbyBay Victoria Smith will make a beautiful gift for the photographer, traveler or San Francisco lover in your life. With gorgeous pictures and captivating descriptions, this book is sure to take prominent coffee table status and will make an invaluable addition to any library.